Pasai is a medium-sized country on the island of Sumatra in Indonesia. As one of the larger nations in Indonesia, with foot access to the mainland of Indochina and possessing ownership of a valuable Trade Center Province in the rich Malacca node at game start, Pasai is ideally suited to conquer and colonize Indonesia and form Malaya. They follow the Shafi'i school. The nation of Pasai is one of the easier starts in the Indonesian island chain, making the nation a good choice for players who are trying this area of the world for the first time. Naval warfare, trade, colonization and the inevitable threat of European incursion into the Far East can make for an entertaining game. Firstly, there are the major regional powers of Malacca, Majapahit, and Ayutthaya (and its vassals) that pose a military and economic threat to Pasai. These nations will be the player's main competition in the early game. There is also the looming threat of Ming intervention, as many nations in this area either start as, or can become, tributaries of the Empire of China. Secondly, there are minor powers, consisting of the Bornean nations of Brunei and Kutai, the Sumatran nations of Pagarruyung and Siak, and the Javanese nation of Sunda as well as Khmer in the north, which are smaller nations which can serve to tip the balance of a war or even rise to become regional powers themselves with luck and time. 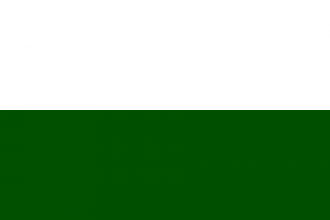 Finally, there are the local OPMs or micronations consisting of Kedah and Pattani on the Malayan peninsula, the Sulawesi nations of Makassar, Buton and Luwu and the Moluccan tribes of Ternate and Tidore that, due to the their small sizes, will play only a minor role in the development of the area. Geographically, Pasai occupies the northwestern end of the island of Sumatra, consisting of 7 provinces and a total of 66 development. In terms of military, Pasai begins the game with 9 regiments (7 Infantry and 2 Cavalry), 10 Light Ships, and 6 Transports. These factors mean that Pasai is one of the stronger starting nations in the area, but not overwhelmingly so. The Pasai government is a Sunni Despotic Monarchy. As a Sunni, Chinese technology nation, Pasai has four estates available: the Amir (Nobles), the Merchant Guilds, the Ulema (Clergy) and additionally the Dhimmi, who only exist if Pasai controls a province of non-Muslim religion. If the player wishes to use the Dhimmi abilities, there are Hindu, Theravada Buddhist, and Animist provinces in the area that can be assigned to the Dhimmi if necessary. Pasai's Sumatran national ideas focus mainly on naval and economic power, ideal for an island-based power with a capital in one of the richest trade nodes in the world. As Pasai, the player's first goal will likely be to form Malaya. Taking this decision will require the conquest (by land and sea) of many of the local nations in the area, as well as colonization, so fulfilling this early-game goal will serve to teach the player the playstyle of the Indonesian area as a whole. As is standard for most nations, the Pasai player should build their army and navy up to the available force limits as soon as is reasonable. However, unlike most nations with starting navies, it is not recommended to disband the starting Transport ships, as they can be essential for successful warfare in this area. The player should, of course, assign their Light Ships to protect trade in Malacca. The two starting Merchants should be assigned to Canton and The Philippines, as these are the only nodes with two exits that the player can reach locally for the moment, making them the best locations for Merchants. The player should reassign the Merchant from Philippines to Hangzhou as soon as the node comes into Trade Range as this node is much more important to control than a still-uncolonized Philippines. Pasai shares the island of Sumatra with the smaller nations of Siak ( ) and Pagarruyung ( ). In most cases, Siak is the logical first target for Pasai, as not only do they share Pasai's culture and religion (and can by set as a rival by Pasai at game start), but the province of Siak holds one side of the strait of Johor, allowing the player to attack Malacca later by land, without using transports to cross. As Siak can also be targeted by Malacca for these same reasons, it is a good idea for the player to strike as soon as possible. Pagarruyung is no more difficult to defeat, but the fact that they are Theravada Buddhist will mean their land will have higher unrest, and will cause Corruption, until converted. As well, Pagarruyung may get an alliance with Ayutthaya as they share religions; Ayutthaya may be too dangerous this early in the game, so the player must be slightly more cautious in this regard. Pagarruyung may also be rivaled by Pasai at game start. In case alliances have formed that prevent easy annexation of either nation, Pasai's options for friendly alliances may be slim. The nation of Brunei ( ), on the island of Borneo, is a good first choice as they are not an immediate target and share religions with Pasai. In addition, Brunei is slightly stronger than their neighbor Kutai at game start and so is more likely to come out victorious in the inevitable war. The AI is somewhat better at naval landings in the current patch, so Brunei should be able to successfully land troops to assist the player if they are called into war. One of the Javanese nations (Sunda and Majapahit) may also be an option, with Majapahit being the stronger ally but Sunda having land access to Sumatra if necessary. Once the colonized areas of Sumatra are under Pasai's control, the player will be faced with a interesting choice of how to proceed. The natural next course of action is to attack Malacca; in addition to being Sunni, being very likely to have rivaled Pasai, and controlling provinces needed to form Malaya, Malacca also controls a Centre of Trade. However, Malacca begins the game as a Tributary of the Ming Empire, and so they may intervene when Malacca is attacked. One option is to attack an ally of Malacca that is not a Tributary, such as perhaps Kedah, which will allows the player to take at least a few provinces from Malacca if they are victorious. Another option is for the player to offer to become a Tributary of Ming themselves. This will allow an attack on Malacca without Ming intervention, but the player will have to pay tribute to Ming for the time being (or risk their wrath if they refuse!). Please note that at game start, Ming is not interested in Pasai as a Tributary, though that may change as the game progresses. A third option is to proceed with colonization and attack other targets until later in the game, or perhaps for a situation in which Ming will not defend Malacca (the defensive call to arms is not automatic and can be declined). Regardless of the Ming question, Malacca can be a tough target for Pasai all on their own; they are quite rich and may even have naval superiority over Pasai, making invasion or defense quite difficult. Pasai can often ally one of the OPMs in on the peninsula (Kedah or Pattani), and use them as a distraction, or even proper support, against the Malaccan army; even the small armies of these nations are not entirely trival this early in the game. Annexation is recommended as the Malayan sub-culture will easily have enough development to accept afterwards. Interestingly enough, the player does not need to annex Kedah or Pattani, as these provinces are not required to control 'the Malayan Penninsula'. Only the Malacca and Malaya areas are needed. At this point, the player will likely control all of colonized Sumatra as well as perhaps some or all of the Malayan Peninsula region. In order to form Malaya, the player must take control of four important provinces on Java; Banten (624), Kalapa (630) and Pakuan (2687), held by Sunda, and Demak (629), held by Majapahit (unless one nation has already been annexed by the other). However, Pasai is not close enough to forge claims on either nation. If the player wishes to declare war immediately, one option available to declare a no-CB war on either Majapahit or Sunda. Beware that this action will cause a loss of -2 Stability and will cause the nation to instantly suffer +2 War Exhaustion, as well as causing significant Aggressive Expansion. Another option, if rebels have spawned in either nation, is to Support Rebels, as this Casus Belli still allows land to be taken by the supporting country. Luckily, either nation should be fairly simple to defeat, but if Majapahit has conquered all of Java by this point (as they sometimes do), they may still be able to threaten the player militarily, so the player should attempt to call in Brunei or one of the Sulawesi OPMs as a distraction if necessary. If the player would prefer to wait a little longer, Colonization can be used to gain a core province closer to Sunda, which can then be used to forge claims. This requires taking Exploration (or Expansion) as Pasai's first idea group. This is very highly recommended because colonization also allows Pasai to obtain all the other rich provinces in Indonesia, which will strengthen the nation considerably. Furthermore, colonizing the remaining empty provinces in Sumatra is necessary to form Malaya. Every province in the South Sumatra area shares a sea zone with Sunda, so claims can be forged from any of these locations. The provinces that need to be colonized in order to officially control all of Sumatra are Bengkulu (621), Palembang (622), Tulangbewang (623), Bangka (2678),and Belitung (2679. The off-shore islands of Mentawai (2683), Nias (2684)and The Andamans (574) are not required. If the player remains unwilling or unable to attack Malacca due to their Ming Tributary status, another option to form Malaya is to conquer Borneo, including Brunei, Kutai and the uncolonized provinces in the south. Owning all of Borneo and Sumatra as well as the four required provinces in Java will still permit formation of Malaya. Once the final provinces are colonized or conquered, Pasai can form Malaya, which will grant the player permanent claims on any remaining unowned provinces in the local area, as well as some Prestige, autonomy reduction, a cultural union of the Malay culture group, and a fluorescent purple map colour for the player's enjoyment. Please see the strategy guide on Malaya for further information. To acquire some of the useful Age of Discovery bonuses, the player must generate Splendor by fulfilling Age Objectives. Luckily, many Objectives in this Age are easy to fulfill for the Pasai player. As a nation heavily incentivized to take Exploration Ideas anyways, Pasai is well positioned to Discover America. The capital of Pasai, in Pasai province (2673), is a Centre of Trade that starts at 15 Development. If the player waits until 1450 when the Renaissance institute spawns in Italy, they can then develop this province to 30+ development in order to 'spawn' the institution in Pasai as well. This will fulfill the objective A Large City and shortly thereafter Embrace Renaissance as well. On two Continents can also be easily achieved by colonizing a province in Oceania, in either some part of Australia or in Papua New Guinea, if the player is willing to hold off on colonization of more important provinces to do this. Humiliate a Rival requires the player to spare an early rival target, such as Pagarruyung, and annex them once the truce expires, which is not ideal, but the extra Power Projection may make up for it. Finally, there are exactly five Centres of Trade within easy reach of the Pasai player, in Malacca (596), Brunei (636), Kalapa (630), Makassar (641) and Pasai province itself. Note that Malina (656) in the Phillipines starts as an Important Natural Harbor and so does not count, though it may evolve into a Centre of Trade via event later in the game. With all these options for Splendor, it is recommended the player ignore the objective Feudal Society. Once enough Splendor is accumulated, the best Splendor Bonus to pick first for any Pasai player is Higher Developed Colonies, which will add +1 development of each type to every finished colony. The Pasai player should try to complete as many colonies as they can before the Age of Discovery is over, in order to take full advantage of this bonus. Other Splendor bonuses can be taken as circumstances permit, such as Feudal De Jure Law to reduce unrest in annexed provinces or Cavalry Armies if the player wants an extra edge in invading South East Asia. Due to the amount of rich, uncolonized provinces in Indonesia and the fact that at least one colonist is necessary for Pasai to form Malaya, the Exploration and Expansion idea groups are very highly recommended for Pasai. Colonizing as much territory as possible will also limit the power and influence of European colonizers in Indonesia in the later half of the game. The Exploration Idea Group is also useful in fulfilling certain Age of Discovery Objectives, as noted above, and will make Pasai eligible to spawn the Colonialism institution as well, as long as the player has discovered America. In addition, owning Colonial nations can sometimes bring wealth into Pasai depending on their location; in the Historical World, only colonial nations in the Australia, California, Mexico and Rio Grande trade nodes can route trade back to Malacca, due to the flow of trade in this area. As well, significant control of at least the Japan and Hangzhou nodes will be required to receive any Trade Value from anywhere other than Australia. In a Random New World, significantly more or less trade from the New World may flow into (or out of) the Far East. In particular, Random New World trade routes sometimes flow into the Australia node (which is normally a source node), making a Colonial nation in this area even more valuable. Owning any Colonial nation can help spread Colonialism to Pasai if the institution spawned in another country (likely Europe). Other useful idea groups for Pasai include the Expansion, Trade, Economic, Maritime and Quality idea groups. Regardless of the player's strategy, one or more of the European colonizer nations ( France, Portugal, Spain, Great Britain and Netherlands) will eventually make their way to Indonesia and will desire Pasai's territory. Attempts should be made to keep as current as possible with Military and Diplomatic technology, keep up with Institutions, as well as forming alliances with powerful defensive allies in Asia, such as Ming or a powerful Indian Sultanate. Naturally, the player should also conquer and colonize as much of Indonesia as they can, focusing on provinces in the Malacca, The Moluccas and The Philippines trade nodes. In the Age of Reformation, the Pasai player should look towards gaining the Spices trading bonus, and converting nations and provinces to Sunni. The Splendor bonuses towards Ship Trade Power Propagation, Institution Spread in True Faith Provinces, and Blockade effect on Sieges should be of particular interest. Near the end of the Age, continued improvement and conquest around the Malacca Trade node may make Pasai eligible to spawn the Global Trade institution, as long as Malacca is the most valuable node in the world. It may be difficult for Pasai to gain Splendor in The Age of Absolutism. Pasai is not eligible for Emperor of China (being a Sunni nation), and will very likely be a cultural union of all Malayan cultures, making new cultures to promote somewhat difficult to find. Universities and force limit can be the player's source of Splendor due to Pasai's wealth. Useful Splendor bonuses can include Yearly Absolutism and Administrative Efficiency. Spawning Manufactories is a possibility for Pasai, again due to the wealth of the Indonesian region, and Enlightenment can be contested by swapping to a Constitutional Monarchy in conjunction with Pasai's university projects. In the Age of Revolutions, large Colonial nations, further development of Pasai and its subjects, and a lot of luck with Institution spawning may make Pasai eligible for many objectives in this age. In terms of Splendor bonuses, of major interest is the Reduced Liberty Desire from Subject Development, as well as the Global Naval Engagement Increase. A player could choose Economic and Trade ideas as their 2nd and 3rd idea groups, which would allow a decision to change government to Merchant Republic as long as Pasai goes briefly below 20 stated provinces (i.e. 19 or less) and has at least 40% of total income coming from trade. When combined with Pasai's strong trading ideas, this may be an interesting strategy for those players that prefer to play 'tall' instead of wide, especially since at least seven one-province nations exist in this area that can join a Trade League. If the player still wishes to use a Republican government type, but does not want to deal with Merchant Republic state limitations, they can choose Aristocratic and Influence ideas as their 2nd and 3rd idea groups, forming an Oligarchic Republic upon decision. However, as a Sunni Republic, accumulating either positive or negative Piety may be difficult to accomplish, as Piety is largely reset upon a change of rulers, so the player should bear this in mind. This page was last edited on 22 January 2019, at 05:38.